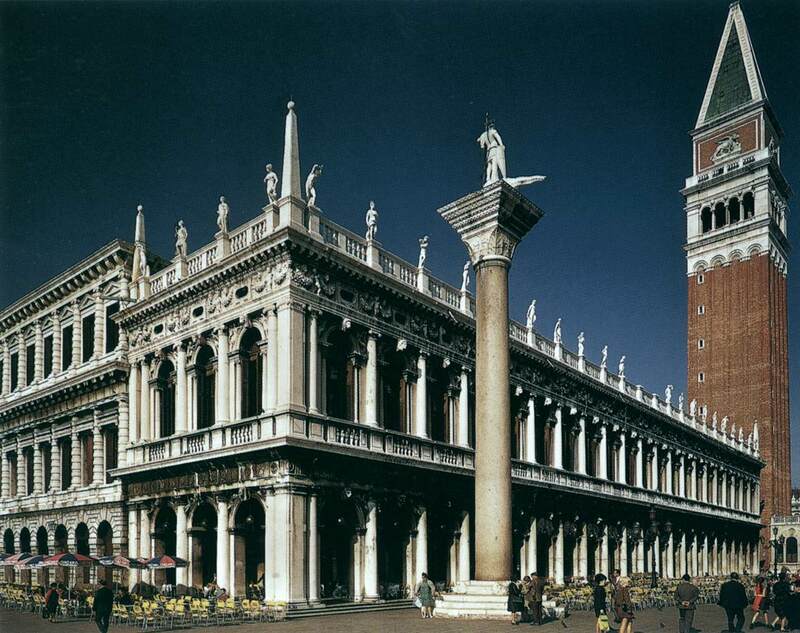 Sansovino's second municipal commission for Venice after the mint was the famed library of San Marco right next door. The structure was intended to house the vast collection of classics in Greek and Latin owned by the city, itself a grand gesture demonstrating Venice's place in a world that the Renaissance and humanism had transformed. Again, Sansovino uses the techniques (arch covered facade, heavy cornices) that mark Venetian architectural design.